As you are planning your wedding, there are many things on your mind. What colors do we choose, who is the DJ going to be and do we have an open bar or not? These are questions my wife and I had to answer as we planned our wedding. How do we balance wedding entertainment? As someone who performs close-up magic at weddings, I understand wedding entertainment fully. I knew that one thing was most important. Flow. While decorations, venue and food hold a lot of importance… The one thing most brides and grooms forget about, is how will the evening flow. Flow is when the energy in the room is able to be directed throughout evening. Any moment which interrupts the energy in the room without redirecting it, destroys the momentum. If a wedding has poor flow, it’s very difficult to regenerate the loss of energy and excitement. There are four things that I have found that can destroy the flow within a wedding. Think about this: Your guests just watched the big kiss and leave to take photographs. Now what? Most venues will open an area for a cocktail hour which is great. However, what are they going to do? Just standing around and drinking can okay but people tend to remain with a small social circle. They are about to move into the dining room and find their seats. So, your guests will have an hour of awkwardness trying to break the ice with each other. Without a unique conversation topic, this can be difficult for most people. The questions “How do you know the happy couple?” and “What do you do?” will only last for a couple minutes. One of the fastest ways to lose your flow of excitement is when people run out of things to talk about! Hungry people waiting is a dangerous area to be! Most kitchen are prepared well but every so often there is a wait. I know for me and Caitlyn, we had to wait for our guests to receive their meals. However, people didn’t notice. Why? When the dinner was being served, we maintain the energy within the room by continuing the entertainment. Our DJ, Tom Conte, is also a singer and has a wonderful voice. So when people were waiting, they were able to listen to Tom (Highly recommended by the way). Some weddings are filled with inside jokes throughout the evening. While these are entertaining to the bride and groom, they can sometimes make people “not in on it” feel isolated. Try your best to make the entertainment and fun be all inclusive not exclusive. 4.) The Lack of Variety. If there are no changes throughout the evening, people will tune out and get bored. Most weddings have natural shifts in attention but also sometimes rely too heavily on ONE thing. By having some fun variety throughout the evening, you’ll be able to capture your guests attention and hang onto it for a longer period of time. You have to be careful though! Having too much variety at one time can be overwhelming and equally as harmful to your wedding. Can Great Wedding Entertainment Save The Day? There is great news. This can be fixed! By adding some unique entertainment, like close-up magic, to the cocktail hour, you can easily increase your variety and maintain the energy heading into dining room. Magic also does something else that is awesome. Great close-up magic will compel people to talk about it later. This gives people an automatic ice breaker and something to talk about at the dinner table! I will often stay beyond the cocktail hour to make sure the dinner service is timely. When a delay happens, I can entertain a couple of the tables to help take their mind further off the wait. This is of course not during speeches. Another tip, higher a great DJ to carry on after Dinner. A great DJ knows how to change the energy on the dance floor to keep everyone entertained. Again, I have to recommend Tom Conte and his wonderful wife Kristen. Tom is a great vocalist during the dinner reception and DJ throughout the night. With years of Emcee experience, it’s clear why he’s one of the best. Also, his wife Kristen is an incredible photographer who assists WAY beyond just taking photographs. She is someone who also understands the flow of the room and helps keep the event alive and breathing. 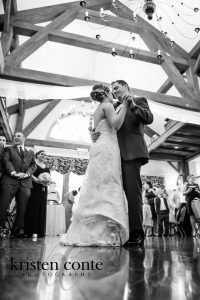 Shawn is an expert in wedding entertainment for Cape Cod and Boston Massachusetts. With over 10 years of experience, he can make sure your wedding is extra special. 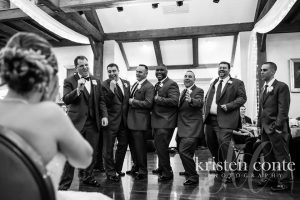 Shawn’s specific brand of magical wedding entertainment will help your guests feel comfortable and ensure they continue talking about your special day long after the night is over.